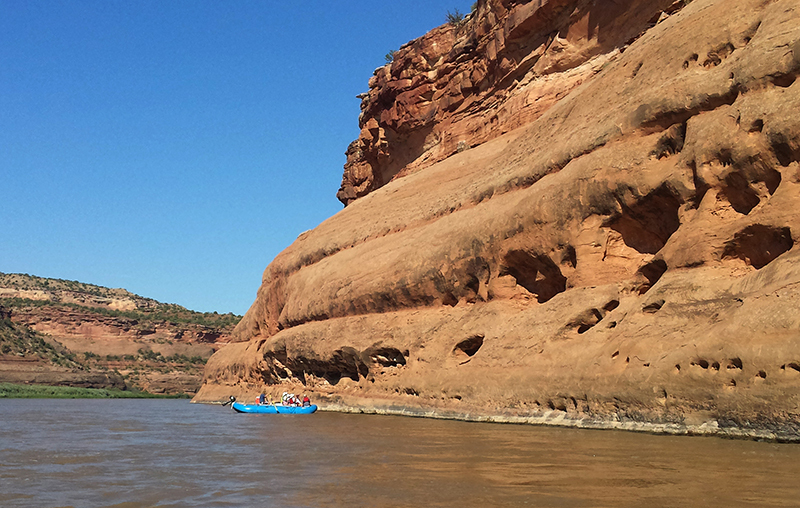 Experience the Western Slope’s “Jurassic Park.” Raft the black water (= calm water) of the Colorado River to see canyon geology, then at Mygatt-Moore Quarry spend a day as a paleontologist digging for dinosaur bones. On day three, we’ll go west to Moab for dinosaur trackways from the Jurassic and Cretaceous. This is a Dino Trifecta: rocks, bones, and tracks! Bring your hiking shoes, a water bottle, wide-brimmed hat, sunscreen, and bug spray. Lunch is included each day. Short hikes are involved in this three-day expedition. Most hikes are less than 1 mile and are rated from easy to moderately strenuous. Lodging is not included.